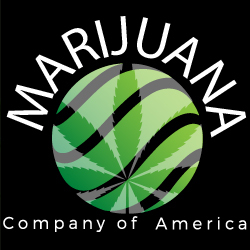 BONSALL, CA--(Marketwired - Apr 19, 2017) - Marijuana Company of America ("MCOA" or "the Company") (OTC PINK: MCOA), an innovative cannabis and marketing company, has established a Strategic Advisory Board, with the appointment of Noble DraKoln as Chairman, and the appointment of Andy Carter and David Hill as Advisors. The Company has engaged experienced professionals with expertise in various industries to provide support for executing MCOA's strategies in the legal hemp and cannabis sector. These strategic advisors will help MCOA build a diverse portfolio of potential acquisitions that will benefit current and future shareholders. The Strategic Advisory Board will advise the Company on a broad range of subjects pertaining to: cannabis regulations, cultivation, processing, manufacturing, product development, real estate acquisition, marketing, brand development and management, distribution and logistics, compliance and other critical areas that will contribute to the success of the Company. Mr. Donald Steinberg, MCOA President and CEO, commented, "We are excited about the formation of our Strategic Advisory Board, which will greatly expand the expertise of our Company as we continue to build our corporate structure. Each one of these advisors brings valuable knowledge in structuring and executing all of the current deals in the pipeline that will translate into tangible value for MCOA." Noble A. DraKoln is the author of seven books on securities trading. Two of them, "Winning the Trading Game" and "Trade Like a Pro," were published by Wiley and Sons. After twenty years of being a securities broker, money manager, and teaching investing in commodities, options and futures, his experience in securities has enabled Mr. DraKoln to apply his expertise to business development and executive consulting. He has leveraged his experiences and relationships to enhance the value and efficiency of many companies, as well as leverage his own personal angel level investments. His books have been translated into multiple languages, he has been a financial keynote speaker around the world as well as contributing writer to dozens of financial magazines, including Forbes and as a radio and TV financial commentator. Andy Dane Carter has been investing in real estate for many years and is a licensed real estate broker in California. As a real estate investor and licensed professional, he has bought, sold, invested, developed, flipped, held, and redeveloped over half a billion dollars in real estate. His real estate expertise has been consistently sought after by those in the rapidly expanding cannabis industry. Mr. Carter's understanding of the real estate legislation in California pertaining to cultivation, developing, and processing have become invaluable since Proposition 64 was passed. He has been consistently sought after for his knowledge and connections by those entering the space. His extensive real estate experience will give MCOA an advantage in conducting due diligence and structuring all aspects of current and future real estate acquisitions. David Hill is the Co-Founder and President of Hill & DraKoln Media & Brand Management ("H&D"). For sixteen years he has lead successful brand and marketing campaigns for several national and international companies in different industries. He has strategically positioned new brands as well as revamped old brands. Over the years, Mr. Hill has cultivated extensive strategic relationships with OUTFRONT Media, formerly CBS outdoor, LiveNation, PR Newswire, and many other direct to consumer marketing outlets. Hill & DraKoln maintains three targeted magazine properties in-house to stay relevant with today's youth, and is sought after by corporations that see the value of expert building and narrative management by using magazines, books, and specialty publications to tell their story. To this end, H&D publishes and maintains book and magazine properties for several for-profit and non-profit entities. Having strong branding, marketing and media support will enable MCOA to build its brand and share its story with a broad consumer base.